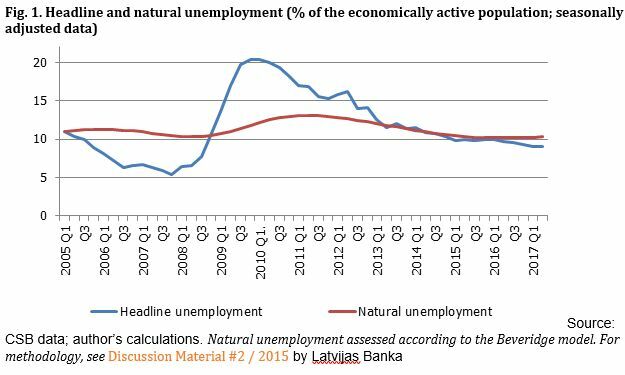 The labour force survey data received today are not surprising: unemployment in Latvia continues to drop. 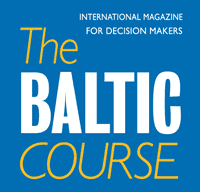 At 8.9%, unemployment rate is the lowest since 2008 and lower than Latvia’s historical average. It is also slightly lower than the current euro area average. Moreover, unemployment may have even dropped slightly below the natural rate (Fig. 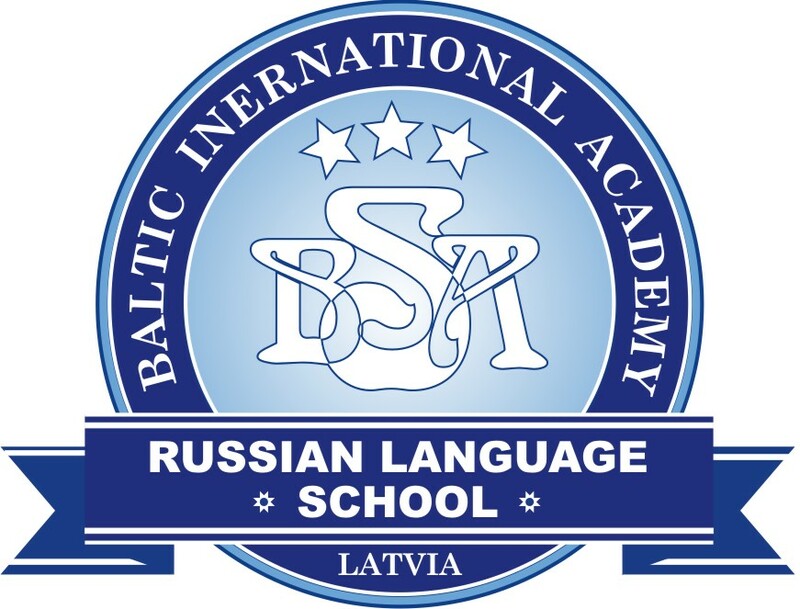 1). - Compensation has been rising slightly faster than productivity for a few years now. 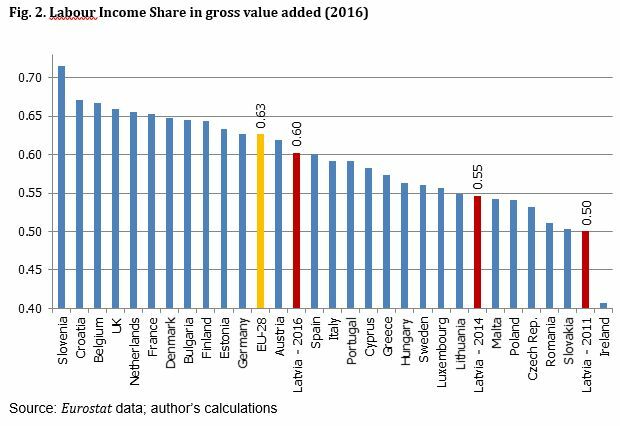 This cannot be sustained – labour income share in gross value added has almost approached the European Union average. 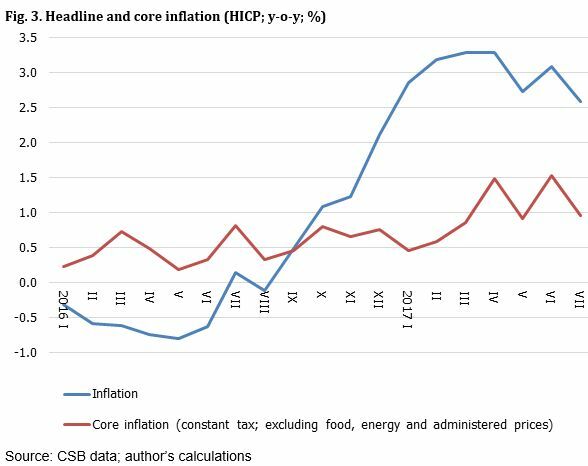 - Core inflation rose slightly in the first half of this year, which is another indicator that economic growth is close to its potential level and any further reinforcement of economic growth cannot be achieved by simple stimulating measures but rather with the help of structural reforms. For economic policy makers such developments both point to the importance of fiscal discipline for sustainability of economic growth and underscore the crucial need for structural reform if a sustainable economic leap is what we desire.